Calling all SM Advantage & SM Prestige cardholders! 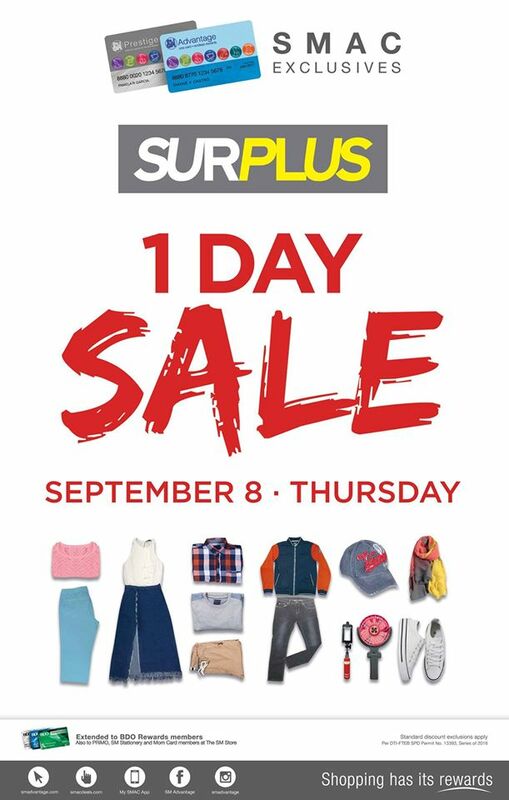 Check out The Surplus Shop's One-Day SALE happening on September 8, 2016 in all Surplus Shops nationwide. Get great deals and at least 10% off on fab selections on branded export overruns. This sale is exclusive to SM Advantage, SM Prestige, and BDO Rewards cardholders.